The partnership between FAE?USA?and Atlantic & Southern Equipment has allowed both companies to expand their land maintenance and construction solutions for customers in the Southeast. Atlantic & Southern Equipment is an AGCO tractor and Link-Belt crane dealer with headquarters in Atlanta, Ga., and multiple locations in the Southeast. Since 2001, Atlantic & Southern has been serving customers in Georgia, Alabama, South Carolina, North Carolina, Tennessee, and the Florida panhandle. It delivers equipment solutions for the agricultural and construction sectors, along with technical support. More than 10 years ago, Atlantic & Southern established a strong business relationship with FAE USA Inc., a global manufacturer of land management equipment. This partnership has allowed both companies to grow and expand land-maintenance and construction solutions for customers in the Southeast. "Our partnership with FAE USA offers our customers a premier product backed up by an experienced sales force and an accomplished product support team capable of serving the forestry, agriculture, and construction industries," said Steve Evans, president of Atlantic & Southern. "FAE products expand our customers' possibilities and are a big part of our success." Giorgio Carera, CEO of FAE USA, concurred. "Our business relationship with Atlantic & Southern has always been a great one," he said. "They have always been a reliable partner with a professional and knowledgeable team. Thanks to their wide range of tractors, they have always been in a great position to promote FAE's extended PTO attachments. 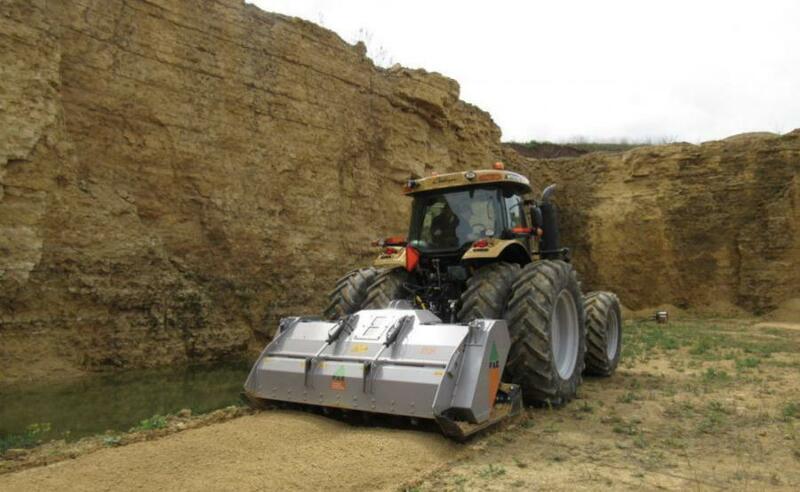 This perfect combination of multiple tractor options and our attachments results in highly-productive solutions for both construction and land management. We are looking forward to growing with Atlantic & Southern and offering more products and support to our Southeastern customers." FAE's road construction division offers PTO attachments for multitasking that can perform asphalt grinding, asphalt milling, asphalt recycling, rock crushing, and soil stabilization. These attachments are reclamation (FDR), pipelines, dirt and gravel roads, and trails. The FAE Forestry Division offers heavy-duty forestry tillers and mulchers, which have proven popular in land reclamation, stump grinding, and forestry tilling projects. For more information, visit www.atlanticandsouthern.com and www.faeusa.com.